More new moms in Colorado are dealing with mental health and substance abuse problems following childbirth, prompting doctors and other medical professionals to speak up about the trend. DENVER — Medical professionals in Colorado are concerned with the growing number of new moms who are dealing with mental health and substance abuse issues over the last few years. 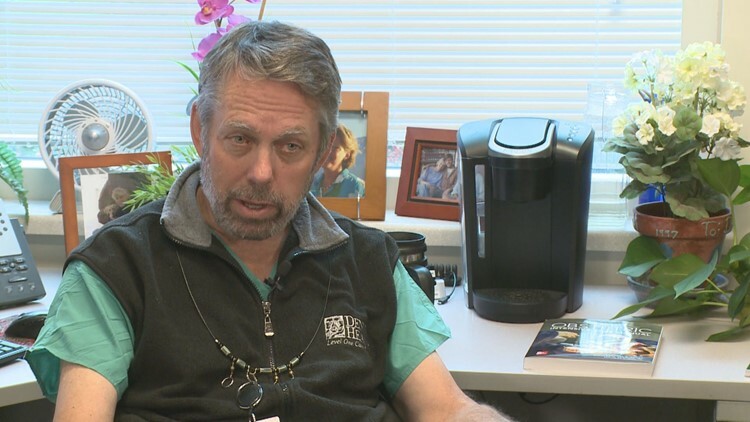 Kent Heyborne, a doctor with about 30 years of experience, works as a specialist in high-risk pregnancies at Denver Health. He said modern technology has made the thought of going home from the hospital with a new family something people tend to take for granted. “Nobody in this day and age goes into pregnancy saying, ‘Boy, I hope I survive,’” Heyborne said. In Colorado, the number of new moms who died due to pregnancy-related complications went from 17 in 2008, to 37 in 2011, to 30 in 2013, according to the Colorado Department of Health and Environment Maternal Mortality Committee. Colorado is one of nine states with a well-organized maternal mortality committee aimed at improving the health and safety of women. While the numbers aren’t as high as those who died from pregnancy complications, the committee noticed a concerning trend over the last 10 years for new moms who’ve died from non-pregnancy related issues. “We define maternal mortality as anybody who dies either during pregnancy or up to one year after the end of that pregnancy,” said Shivani Bhatia, a Maternal Health Coordinator with the CDPHE. “So it’s kind of that 21-month window. In 2008, the committee reported that 17 mothers passed away from issues not related to pregnancy, which went up to 28 in 2011 and then back down to 24 in 2013. Bhatia said recent trends in mother mortality rates suggest new moms are having issues outside of childbirth in the weeks and months after giving birth. "It’s really hard to pinpoint to one specific cause or any driving factor there, but we do know we’ve been seeing a higher number of suicides and overdoses in Colorado over the last several years," Bhatia said. The mortality committee also said more new moms are suffering from issues like post-partum depression. That’s prompted hospitals like Denver Health to screen mothers for mental health and substance abuse to help get them access to treatment as early as possible. “This is a period in their lives that they are interacting with the health care system,” Heyborne said. Heyborne said it’s important for families to be aware that these trends are going on and be willing to have tough conversations at a time they may not have expected to. Naloxone is an opioid overdose reversal medication you can get without a prescription in Colorado. Here's a list of places you could get it from. The Colorado Department of Human Services, Office of Behavioral Health created LADDERS to encourage whole person care by quickly connecting healthcare providers and individuals to behavioral health services. LADDERS includes information on the effects of substance use on health, and resources and links on substance use issues, news and research. The Substance Abuse and Mental Health Services Administration (SAMHSA) is the agency within the U.S. Department of Health and Human Services. On their website, find advice resources for treatment and even advice for family members.